Over the past month or so, we’ve been asking you what issues you’d like candidates to talk about while they’re running for one of the 63 seats on Dublin City Council this year. We got about 200 suggestions, some very brief – “Housing, housing, housing. Honestly everything else is secondary” – and some very detailed. I then sorted them all, to see which were the top-10 most-mentioned issues. So here it is, our list of issues our readers want us to ask candidates about – also known as our readers’ citizens’ agenda. Increase the number of public spaces in the city, protect them from privatisation, and make them nicer places to be. So now it’s time to put these issues to the candidates. Yes, you could raise questions about which of these issues members of Dublin City Council have the power to tackle. We’ve thought a lot about this. After all, a lot of power is centralised far from local councillors at a national level, or firmly within the gift of the executive side of the council. But there are different ways that councillors can use their positions to address the issues in our readers’ agenda. They can propose motions at City Hall. But they can also use their seats as platforms to raise the profile of issues they care about. Those who are in parties may also be able to pass their constituents’ concerns up the chain to party colleagues at a national level. Also, the candidates running in this election may someday be serving in Leinster House, or in Brussels. So we didn’t rule out issues that readers are concerned about, but over which Dublin City Councillors do not have “reserved” powers. So you’ll still get to hear what candidates have to say about them – although in our spin-off stories, we’ll try to highlight what kind of powers they have in different cases. We’ve contacted all the political parties and asked for their lists of candidates, and all of them except Sinn Féin and Renua have responded so far (would still love those lists folks). I’ve also relied on the lists of candidates on Maynooth University lecturer Adrian Kavanagh’s website about Irish elections. 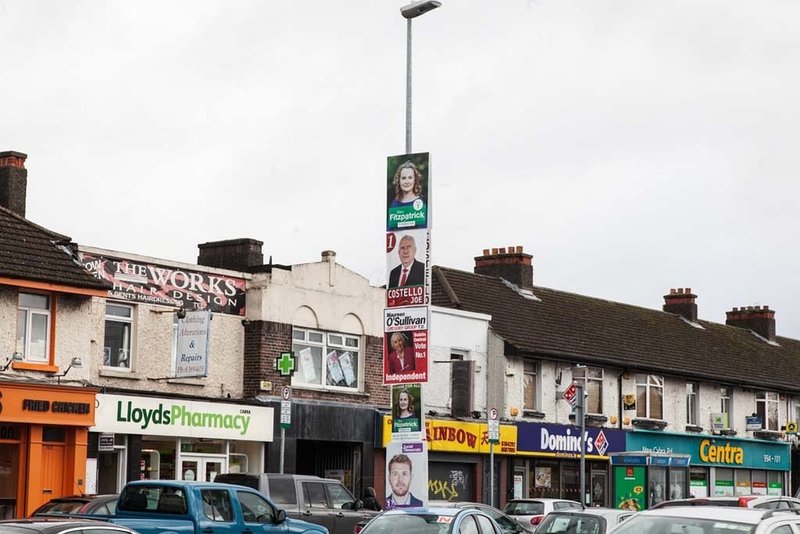 We’re going to be writing articles about these issues – starting with one in this week’s edition about how candidates would tackle dereliction and vacancy – but there are far too many candidates for us to fit them all into these stories. There are about 130 people who are, I think, running for the 63 seats on Dublin City Council. So we’ll speak to different candidates for each spin-off story, and we’re going to also send a questionnaire to every candidate, and put all the responses online so readers will be able to find out what they all have to say about these issues. Of course, that in itself is a pretty big task. So it wouldn’t be possible without the help of some of our readers from each of the city’s 11 local electoral areas – who are jumping in to email the questionnaire to candidates in their areas. They started doing that over the past week or so. If you’re a candidate and one of us has sent you the questionnaire, I really hope you’ll be able to find the time over the next week or so to complete it and return it to us. We have a pretty substantial readership of people who are interested in city affairs, and are interested in these specific issues and are deciding who to vote for in the election on 24 May, and they’d like to hear what you have to say. If you have any connection to any of the candidates running in this election – if you’re in their party, or in their constituency, or in their family, or in their group of friends, or whatever – please help me by encouraging them to complete the questionnaire. If you’re a candidate, and you haven’t heard from us, please let me know by emailing me at sam@dublininquirer.com and I’d be happy to send you the questionnaire.